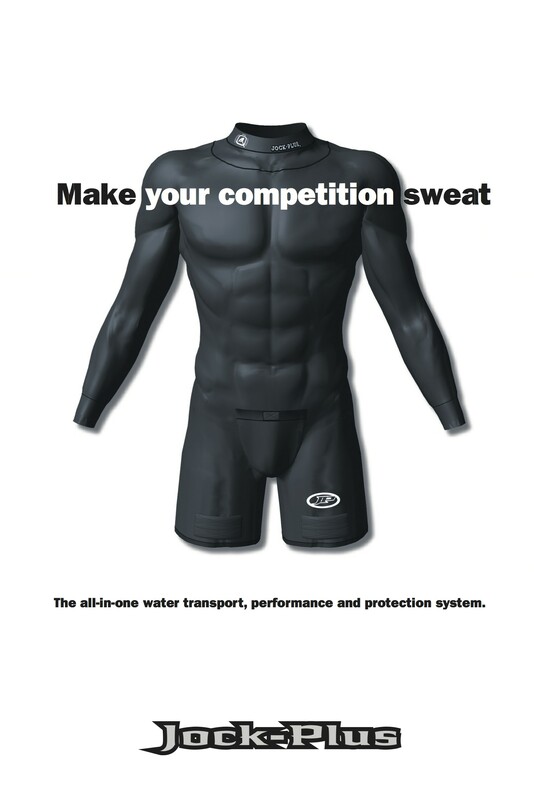 Poster Design for Jock Plus Protection and Performance System. The Jock Plus point of difference is also the competitive idea. When Klozinc first briefed Orange Bazooka on the need to stake their claim at point of purchase, they explained the many different features of this ingenious product. One of the most significant features was the under-gear’s ability to wick and transport perspiration away from the body – one of the biggest impediments to performance. This unique feature was then used to describe what happens to those you do battle with and of course, a subtle message to competitive products in the category. Orange Bazooka also created Package Design for the entire line of Jock Plus products. Each clear clam-shell provides holes to actually feel the fabric.